From now until December 21, Tyrone Square Mall in St. Petersburg will be a stop on Santa's list! Head to Tyrone Square Mall where kids can visit and get holiday photos with Santa near Dillard’s. 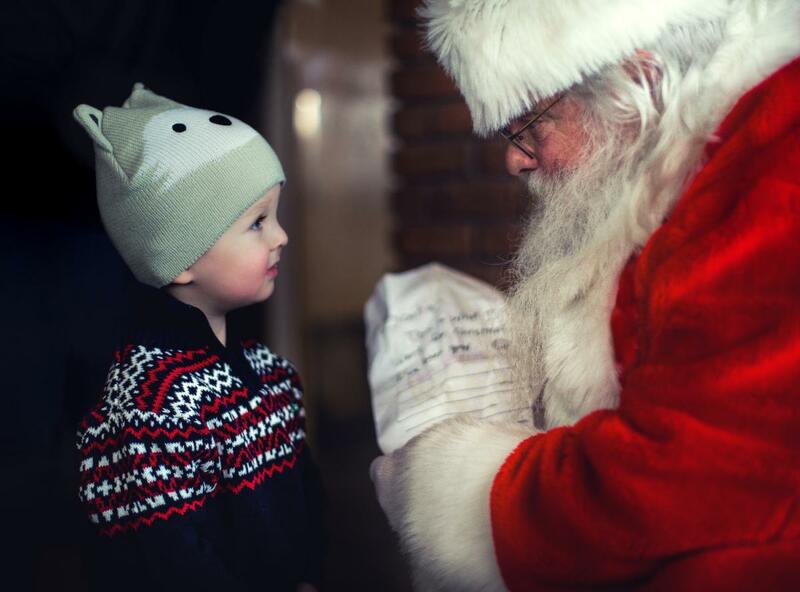 See the mall website for dates and times; you can also schedule your meeting with Santa in advance to skip the lines! Now until December 24, Santa will be stationed in his holiday sleigh in the lower level of Clearwater's Westfield Countryside near Cobb movie theater. Want to skip the long lines for your photo with Santa? You can get a fast pass by purchasing photo packages in advance on the mall’s website. Nearby Largo? Head to Largo Central Park from now until January 1 for their special Holiday Lights events featuring a holiday light display, a carousel, a seven-story Ferris Wheel. Admission is free but rides cost $5 each. From December 3-15, Santa will be there along with a holiday craft fair, live entertainment, and concessions from 6:30 p.m. to 9:00 p.m.
Head to Safety Harbor's John Wilson Park on December 6 from 6 p.m. to 9 p.m. for the annual tree lighting ceremony in the gazebo. There will be a choir there sing all of the Christmas favorites, and Santa will also be there! If you're in Dunedin, head downtown on December 8 to see the Old Fashioned Christmas and Holiday Parade from 4 p.m. to 6 p.m. to watch as Santa and the rest of the holiday street parade go by! Stay after the parade for carriage and train rides, a snow slide, kids crafts, old fashioned games, live music, and entertainment and snow flurries! The parade starts at 4 p.m. on Douglas Ave. from Beltrees to Skinner, and the event site will be at Main Street and Broadway. On December 15 starting at 10 a.m., the annual Tarpon Springs Christmas Parade takes place in downtown! Enjoy the parade for free, and, after the parade, head to Craig Park for a candy cane hunt where children up to the age of 12 can participate. There will also be crafts, hot chocolate, and visits with Santa! Although it’s in West Tampa, this special event is definitely worth mentioning. International will be hosting Sensory Santa, which is a visit and photo-op specifically designed for children with Autism and other special needs. To provide a more controlled, welcoming environment, simple adjustments are made to reduce sensory stimuli including muted lights and music. Also, instead of standing in a long line, kids can enjoy working at activity tables while waiting for their turn with Santa. All of these accommodations help ensure a calming experience for special needs children and their families. Sensitive Santa will take place before the mall’s stores open on December 2 from 9 a.m to 11 a.m. This event is free, but families must RSVP in advance by reserving one ticket through Autism Speaks or Eventbrite.com. Each family will receive a free 5x7 photo, and photo packages will be available for purchase. Find more ideas for Christmas in St. Petersburg and Clearwater by registering on 727area, your free guide to everything local.